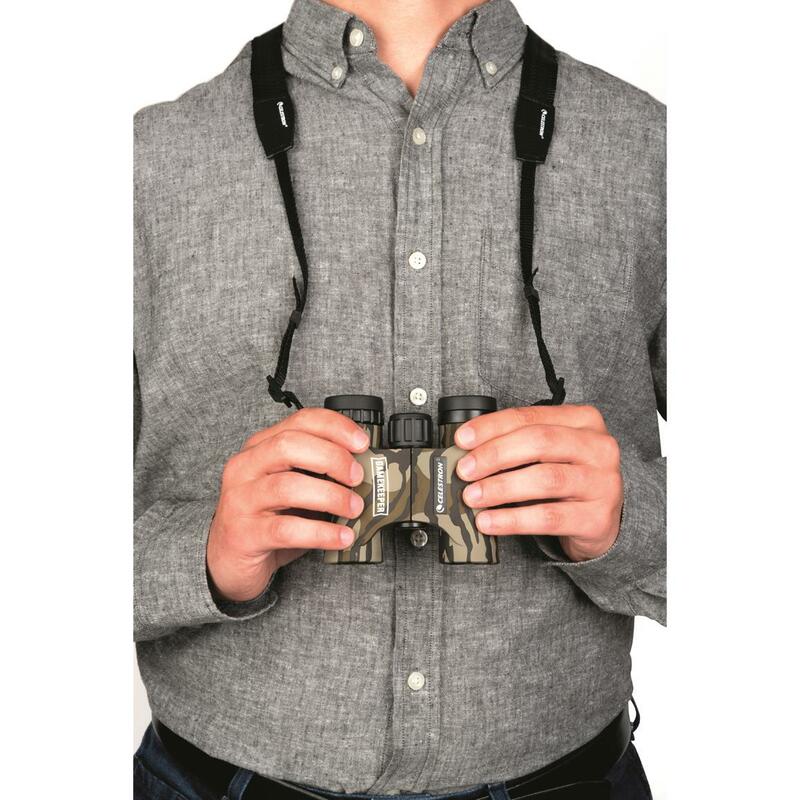 The images and value are both crystal-clear. 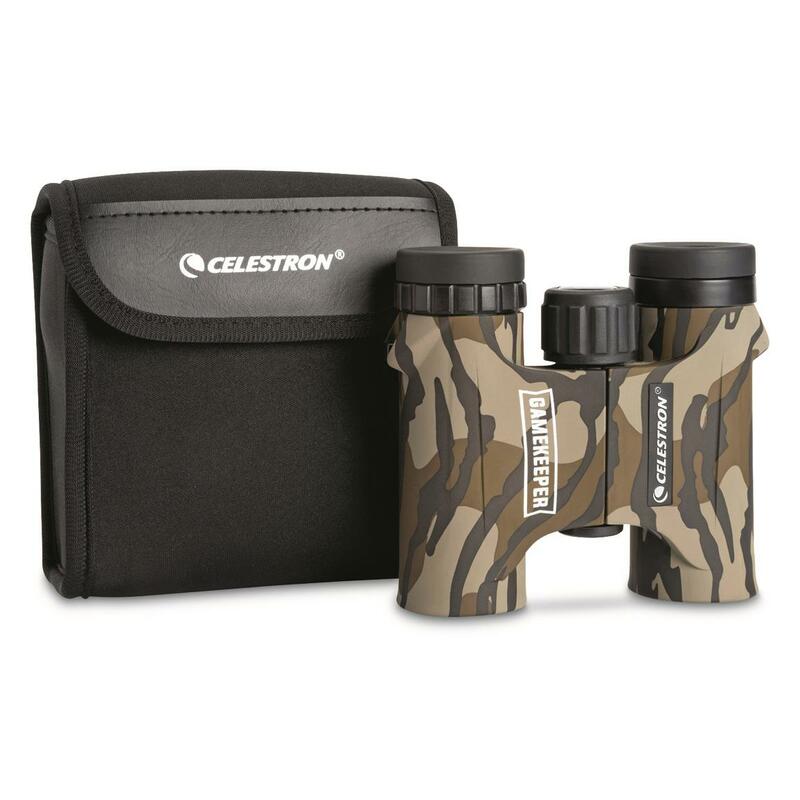 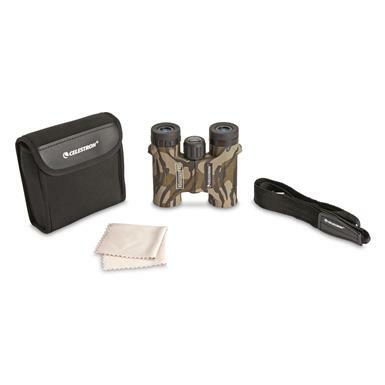 You'll always be prepared for birding opportunities and and wild game spotting with a pair of Celestron® Gamekeeper 10x25 Roof Prism Binoculars. 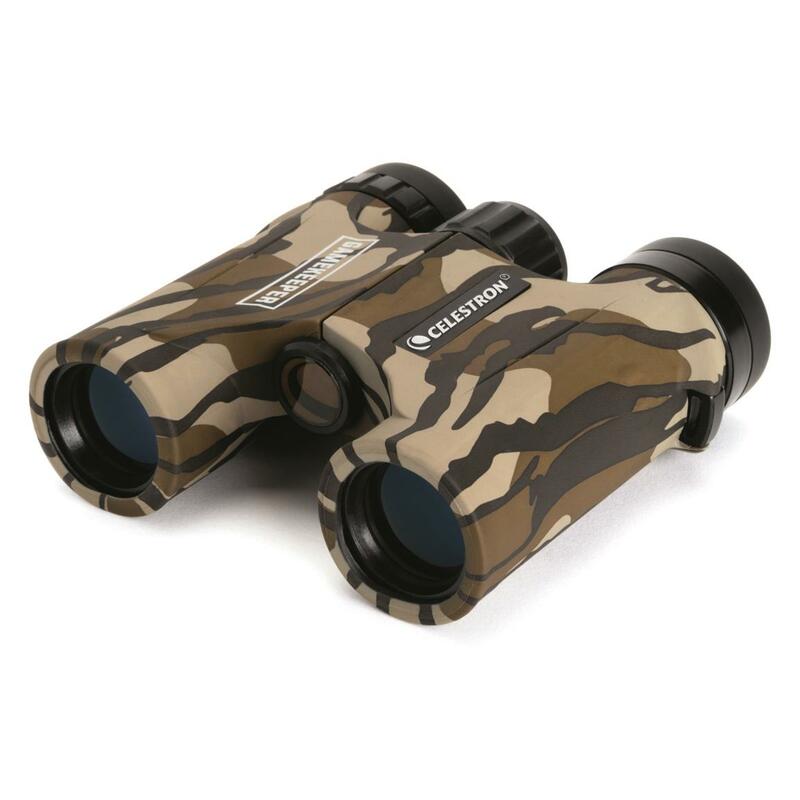 The slim, compact size make them ideal to throw in your glove box, game bag or coat pocket while the 10x magnification quickly brings your images up close. 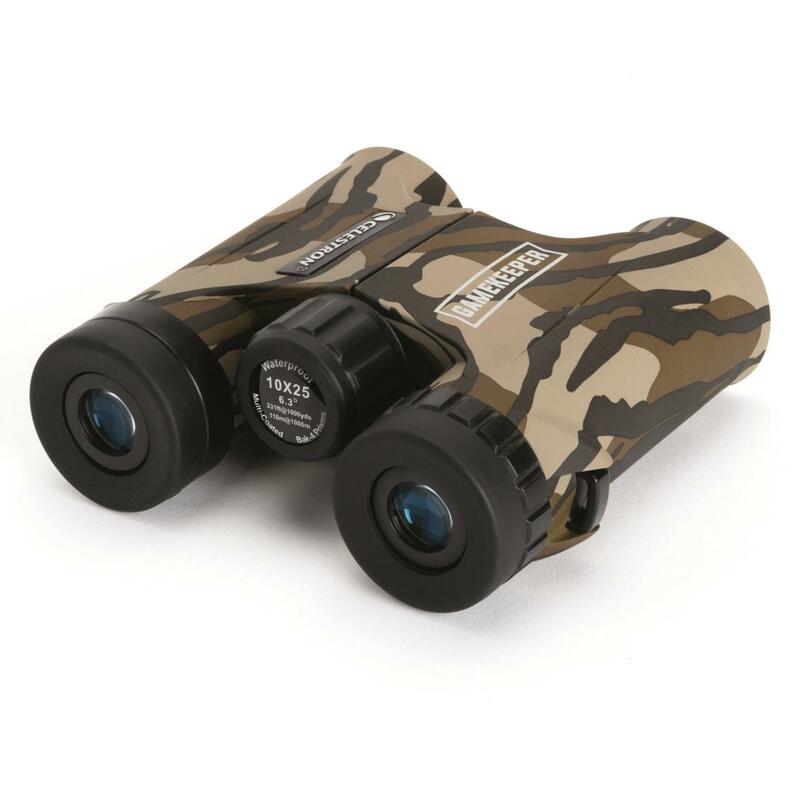 Fully multicoated lenses and BaK-4 prism produce increased light transmission for sharp contrast and detailed resolution. 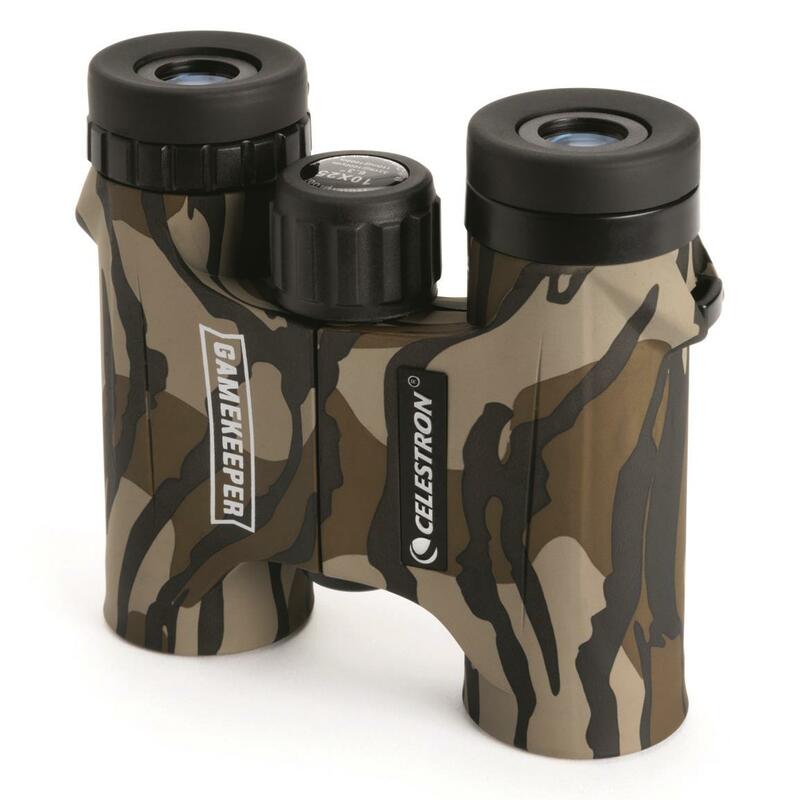 Easily follow even small objects with the wide field of view while the generous eye relief and twist-up eyecups make adjustments easy. 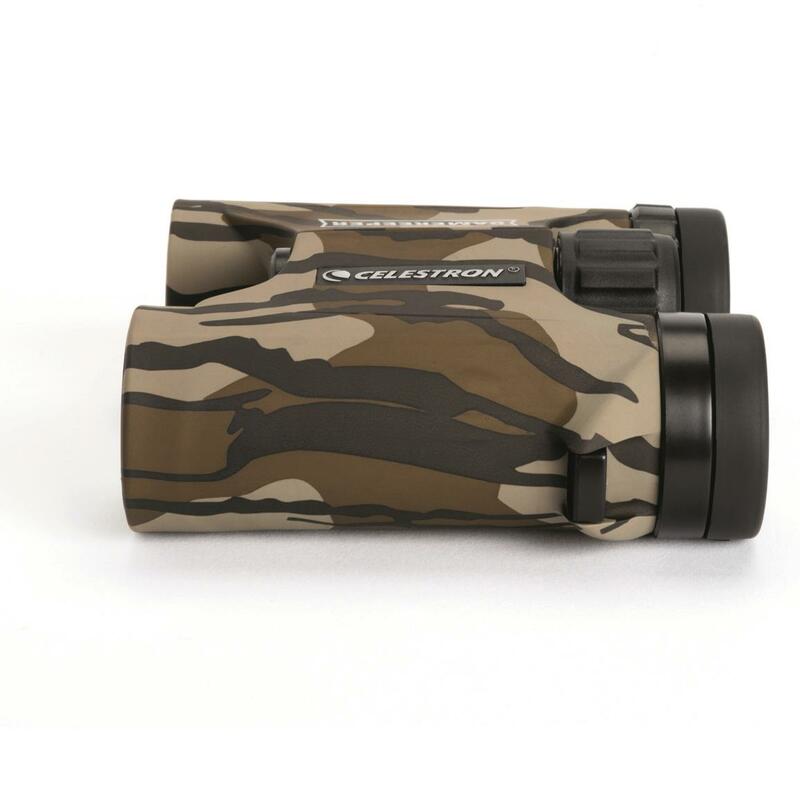 The rubber armor body is done in Mossy Oak Bottomland® camouflage pattern so you don't have to leave them behind if you're sitting in a blind.